Nothing completes a family like a new puppy. Just ask anyone and they’ll quickly agree that puppies bring life to any household. But a new puppy also brings great responsibility and demand a lot of time. Often, in the excitement of getting a new puppy we tend to forgot how much work is ahead. But you don’t have to feel overwhelmed by the added responsibility of your newest family member. Instead you can use a few simple strategies to enlist your children’s help in caring for the new puppy by taking advantage of your children’s natural talents and interests, leaving them enthusiastically eager to help! Getting children excited about work is much easier than a lot of parents think it is. It begins with including them in the early planning phase, genuinely addressing their concerns and giving them responsibilities in a way that lets them shine with minimal effort on their part. To show you how you can do this let’s break it down in to 4 easy to implement steps. Step #1: Puppy planning is a family project. Planning and preparation for a new puppy can be extensive, especially if this is your first puppy. You need to consider size, temperament, training, supplies and ongoing care. Rules will need to be established and follow through agreed on. This is the first area you can get your kids involved. For me I have a 10 year old that loves to look up different dogs and read about them. So I enlisted her help in learning about different types of dogs that we might consider adding to our family. I told her we needed a dog that would be tolerant around her baby niece when she comes to visit, enjoy her rambunctious brother and want to snuggle a little with her from time to time. She eagerly set out on the hunt for dogs that were easy going family dogs who had a history of patience and good temperaments. Then we talked as a family about what we would like to be able to do with our dog, what interactions would be acceptable and how we planned to enforce rules either through at home dog training or enrolling in a public class. It’s a good idea let the kids pick some rules too and suggest ways to enforce them, after all it’s a family effort. Step #2: Shopping for Puppy Supplies. Every child loves shopping for new things so what better way to get them excited than letting them come along on the shopping spree. You know you need a leash and a collar but let your children help decide on the design. When picking a kennel let your children share their input on which one and where to keep it at home. Choosing dog beds and dishes is another fun area of choosing between cool designs and nifty styles. If your children are allowed input with the supplies they feel more involved overall in the selection and then later the care of your puppy. Step #3: Setting Up for Bringing Puppy Home. If you have one child that truly enjoys designing and decorating perhaps this task will be perfect for them. Offer a little guidance on what the object of the puppy space is; helping with house training, preventing bad behavior and keeping your puppy safe. With that in mind let your child design the puppy area and remember to keep if fun for them. It’s all about keeping your kids excitement with helping manage a big responsibility. Step #4: Taking Care of Puppy. Now comes the fun part, bringing your puppy home. This is the time that your kids to enjoy their hard work but don’t let them forget all the preparation, rules and plans for enforcement. To help spark enthusiasm for taking turns with feeding and potty breaks keep them scheduled around the puppy’s play time and your child’s natural routines. For example, my daughter gets mornings because she is always up before anyone else. Her job is to take the puppy outside to potty first thing in the morning. Then she gives her breakfast followed by another potty break and then some good old play time. The next shift is handled by my son who tends to sleep a little later and isn’t so good with the feeding aspect. So he gets to job of taking the puppy out to potty, going for a walk and then good old fashioned play time. Each child is given a task that builds around their talents, like getting up early or enjoying long walks. Doing this allows them to shine with little effort on their part and keeps their enthusiasm for caring for their new puppy for years to come. 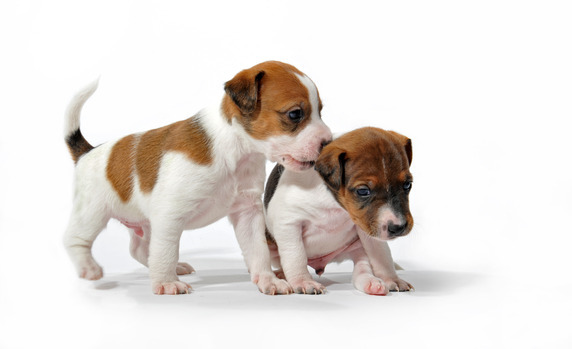 Are you thinking of adding a new puppy to your family? What kind of puppy are you going to adopt?